Swami Yogiraj Nanak Chand was born on 08 October 1927 into a middle class family in a small village of Northern India, in Fatehpur District. Just before his birth, his mother saw Guru Nanak Dev in a dream. When she narrated her dream to her relatives, they suggested that if she conceived a son, she should name him Nanak. He was born into a family which practiced traditional, ritualistic worship of Hindu deities at all religious functions, yet there was little or no actual spiritual grounding. However, even as a child, Nanak's curiosity was insatiable. At the age of 5, on visiting a temple, he pestered his father to tell him whether God actually resided inside the statue and, if so, why did he not speak. At the age of 21, he left his home in search of the illusory God, about whom everyone spoke, but whom he could not see anywhere. After a prolonged and fruitless quest in many holy cities of India, such as Ayodhya, Chitrakoot, Rishikesh and meeting many popular saints and seers, he came to the conclusion that though there were many preachers of religion, very few could show the true path. He then began introspection, waiting for some divine insight or realization, wandering alone, looking for a ray of light. One day, after a hard and arduous climb to the top of a mountain in Srinagar in Kashmir, he reached a temple and saw the rising sun in all its morning glory. He closed his eyes and prayed that one day he should similarly view the glory of God within himself. This search and restlessness within himself for the unknown and unseen persisted. His first true realization came only later, when he visited Kada to pay his respects at the shrine of Baba Sant Maluk Das, a 16th century poet saint of whom Swamiji is also a direct descendant. This realization took the form of an omniscient transmission of divine energy, called shaktipat from Baba Sant Maluk Das to Swami Yogiraj Nanak. Once this realization dawned on young Yogiraj Nanak, he gave up his artistic pursuits as a famed embroidery artist and went into solitude, leading the life of an ascetic. After years of meditation and inner search, Yogiraj began to spread the teachings of Maluk Das and His message of oneness with God. He delivered his first discourse in Ambala Cantt in Punjab in 1968. Since then, he has used every event as an occasion to spread this Message. Thousands flocked to listen to his spell binding and piercing discourses which flowed straight from his soul. During the following 20 years, he continued to travel from one end of India to the other, touring and lecturing. His discourses are laced with stories and anecdotes from both ancient Indian and contemporary texts. Yogiraj Nanak reconstructed and renovated the abode of Maluk Das (Sthal) at Kada, the original center where Maluk Das taught and lived. He is the present day "Mahanta" to the seat of Baba Sant Maluk Das at Kada, Allahabad. All of the original manuscripts of Maluk Das' poetic writings and teachings are in the sole possession of Swami Yogiraj. These writings have recently been published, entitled "Maluk Granthavali." The government of India inaugurated this publication in March of 2003. 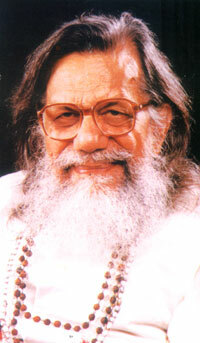 In 1971, the Delhi ashram was established and the Adhyatmic Sadhna Sangh was founded by Yogiraj for the propagation of spiritual thought and yogic practices. Here, Swami Yogiraj conducts discourses and meditation camps/retreats and offers extensive training in his Dehypnotic Meditation techniques to selected, devoted practitioners. His publication, "Dehypnotic Meditation: The Door To A Voyage Into The Infinite" has been re-released in June 2003 and has been fully updated.